Most people would search for a new day job after nearly dying in a California wildfire, or after crawling to safety under a barrage of bullets during a Cleveland gang fight while on set. But Steven Holleran isn't most people. 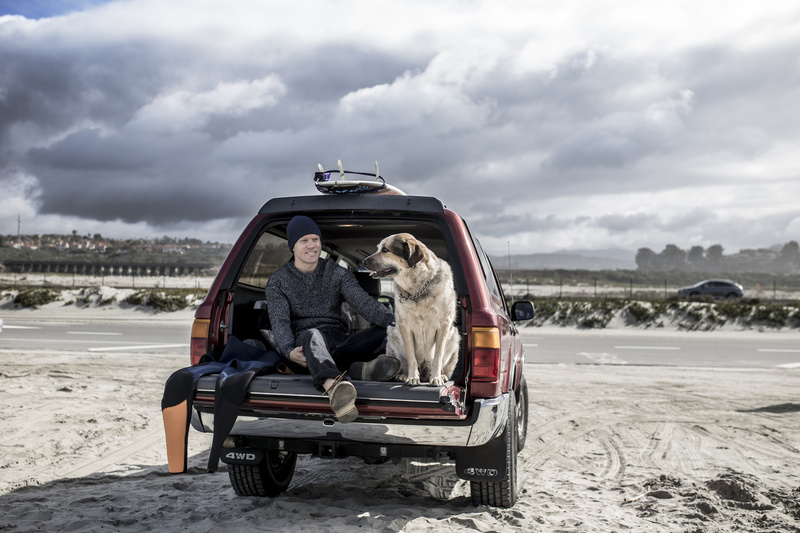 Holleran grew up surfing and skateboarding with friends in Carlsbad, California while taking frequent family summer trips to the Sierra Nevada. Fate would have it that Holleran became a cinematographer because he coincidentally loved watching movies as a child. He'd often get lost in his imagination, something that would expand each time Holleran stepped into the landscape of the Lord of the Rings, or a similarly expansive and magical natural world. "I loved those fantasy, California-esque landscapes," said Holleran. "Reading of and watching dwarfs, elves, glaciers, deserts, swamps, and more all blew my imagination as a kid." Around his 12th birthday, Holleran's dad - who immersed himself in photography while also training to be a military pilot - gifted his son a camera. He didn't use it right away, however. It wasn't until Holleran tore his cartilage in a surfing accident when he finally picked up the camera. His doctor told him swimming would be the best recovery, so he brought an underwater housing into the ocean with him. One day Holleran's mom showed him an article in Outside Magazine which highlighted adventure filmmaking and also sparked Holleran's interest in cinematography as a career. 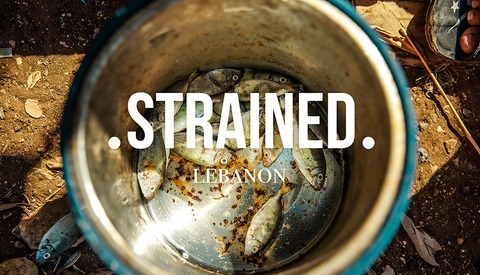 "This idea that I could document important issues and adventures around the environment was important to me. Travels as a child made me develop a huge appreciation for mother nature," said Holleran. "If you don’t get out into those places regularly, you don’t get to appreciate how special they are. I thought the camera would be a great way to communicate this idea to people." Upon graduating from Boden College with a degree in History and Film History, Holleran applied for a fellowship with the Watson Foundation, which gives out about 40 grants per year to graduating college seniors. The fellowship guidelines required Holleran to leave the country for an entire year, in which he spent documenting overfishing in the Pacific while living with spear fisherman in coastal Samoa, New Zealand, and Chile. 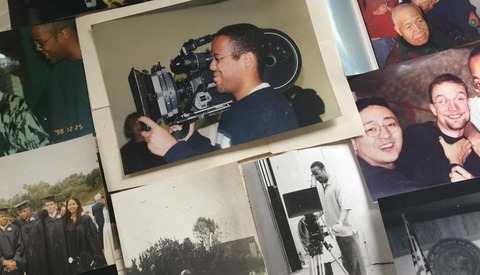 The film he created through this process led him to win an EPA Environmental Justice Award. After returning home, Holleran attended USC, where he mastered the art of cinematography. It was here where he worked with Steven Caple Jr., and the duo eventually created a short film called "The Land," which is about skateboarders growing up in Cleveland, Ohio, and is based on Caple's experiences. Filming "The Land" wasn't the safest and most easy-going project, however. One day on set, Holleran and the production team were caught in a gunfight. "A group of guys with hoods ran down the alley in front of me and started shooting ten feet away from me and the director. It's like we were in the scene from Jurassic Park when the dinosaurs came running through the crowded park - everyone was screaming and running everywhere," said Holleran. "That was only day four of a 21-day production. Interestingly enough, when you're out in the real world making movies and documenting something, it can be very dangerous at times." But, this wasn't the only lesson Holleran learned while filming his first Sundance feature film. The other regards the idea of digital immersion: where the camera isn't defined by traditional cinematography rules such as keeping the camera on one side of an imaginary line, or maintaining a certain distance from the subject. "When I shot the skateboarders for 'The Land' I wanted to rid of the idea of a tripod and get on my own skateboard. I wanted to chase the skateboarders through warehouses and down streets and go over all different types of broken asphalt and potholes," said Holleran. "I wanted to put the camera in a position where you can, as a viewer, feel the excitement and levity of the skateboarder to understand why they do it." Holleran filming a skateborder for "The Land." 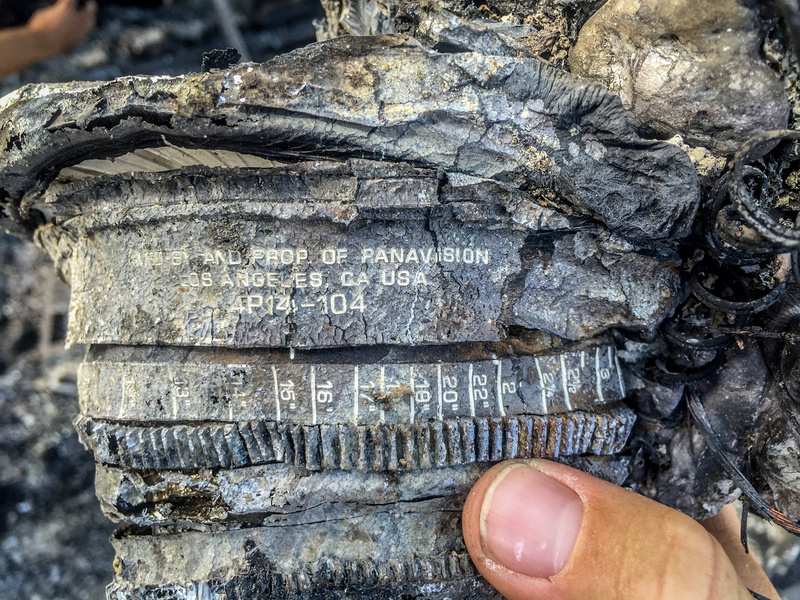 This idea of digital immersion is what led him to film Fire Chasers a specific way. Rather than shoot from a distance, Holleran put a 14mm large format Panavision lens on his RED Dragon in order to immerse himself in the fire. By recording at a close distance, Holleran and his team could better capture fire's personality. "We also wanted to get the sweat dripping down the face of firefighters, and the way the ground looks after fire comes through," said Holleran. "You can't get any of that from far away." Incorporating digital immersion does come with consequences, though. Like on the set of "The Land," Holleran faced a near-death experience. His team was caught in a life-threatening fire, during which their production vehicle blew up and melted to the ground right next to them. "We all thought we were going to die," said Holleran. "It's the cost of being immersive, but what comes on camera after is special and powerful. The point of cinema is telling authentic stories to the audiences." Filming "Fire Chasers" wasn't just a psychological battle, but a physical and technical one as well. 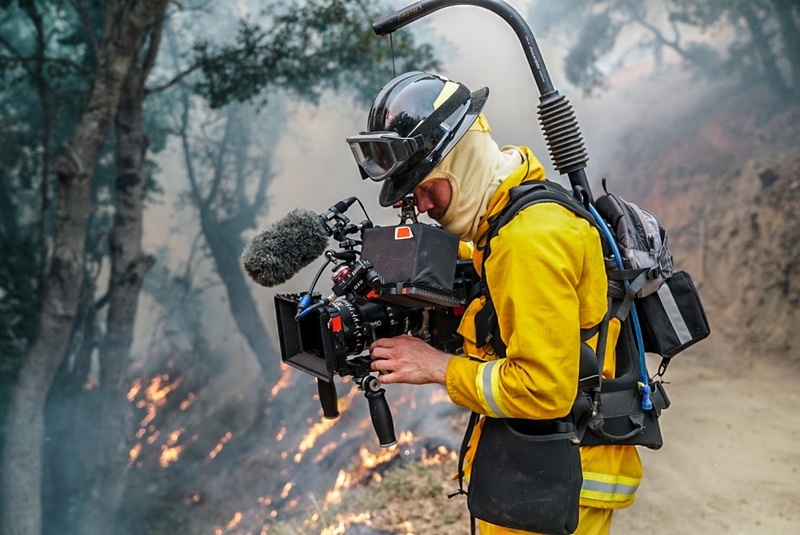 Recording wildfires in California required the production team to hike the heavy cameras, lenses, and gear five miles into the backcountry. While doing so, they traversed through dangerous and steep environments filled with live fire pits, exploding propane tanks, angry dogs, poison oak, extreme temperatures, and poor visibility. In addition to camera gear, Holleran and his team needed to bring with them over 60 pounds of fire safety gear. Holleran filming for "Fire Chasers." The cinematographer's most recent Sundance feature film, "A Boy. A Girl. A Dream." involved another untraditional cinematography feat: filming an entire movie in one take. Because the production team wanted an authentic story-line, the actors were only available for one full day, and the low-budget film is based on one single night in history - the 2016 presidential election - the decision to shoot all in one take seemed like the obvious decision. "Once you start cutting, production falls down really fast. Resets, makeup, possible changes, and someone going to the bathroom all adds time. 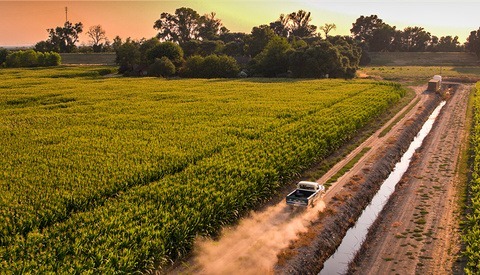 We only had 5-7 hours to shoot a movie across multiple locations, so it was faster to shoot in one take," said Holleran. "You can not film a movie of that length while cutting. Me and the director decided that a one take was the way to go." In order to tackle such a feat, Holleran had to take into consideration the technical aspects of a shoot like this. 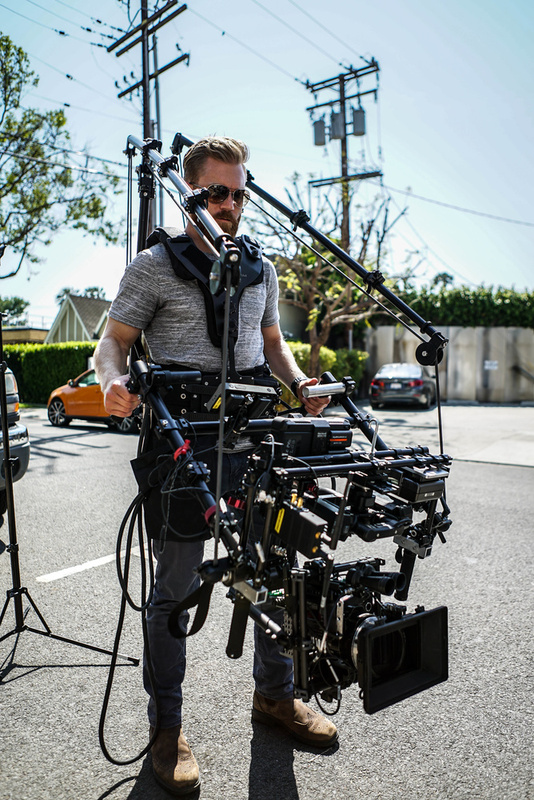 The Freefly Movi Gimbal coupled with a body mount jib stabilization system were the tools that gave Holleran the ability to do tracking, jib shots, bird's eye, and panning with one setup. Holleran used the Sonly A7s II and a 35mm anamorphic prime lens in order to maintain a light, fast, and trustworthy rig. In order to get the perfect shots, Holleran had to be mentally prepared as well as utilize a team of assistants that guided his foot and hand work. When he wasn't pre-lighting a scene, Holleran took every second to visualize possible obstacles and think of how he could deal with them. Holleran's rig for the production of "A Boy. A Girl. A Dream." Besides working on feature films, Holleran works with clients such as GQ, Vogue, Google, Chevy, Savannah Club, and more. Currently, he's working on a documentary for IBM and the Watson foundation, which is focused on celebrating the foundation's 50th anniversary. Over the course of a year, Holleran has been and will continue to follow Watson scholarship winners around the globe while documenting the self-discovery experience. The best advice for aspiring cinematographers, creatives, and photographers? "I spent a lot of time thinking of what was next. If I could go back in time to talk to myself or to another creative, I'd say to appreciate where you are in the moment, and to stop what you're doing and soak in the the magic and madness around you," said Holleran. "That’s what John Muir did when he went to the top of a tree and rode it in a storm. He got up there and soaked in a really big world around him... if you’re not aware of surroundings and studying other people, your art will suffer." To view more of and to stay up to date on Holleran's work, check out his website, Instagram, and Vimeo. All photographs are used with the permission of Steven Holleran. 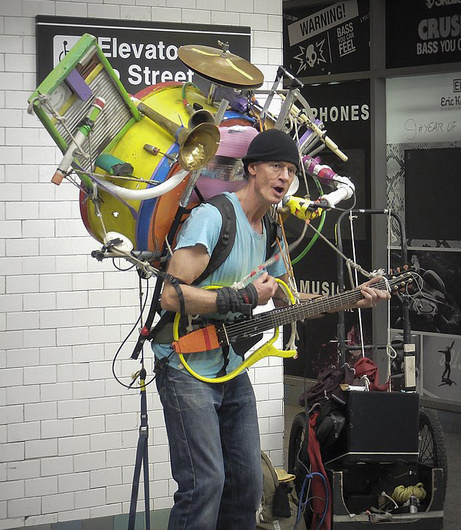 If I have to wear a rig like that to work, I better be fighting aliens. 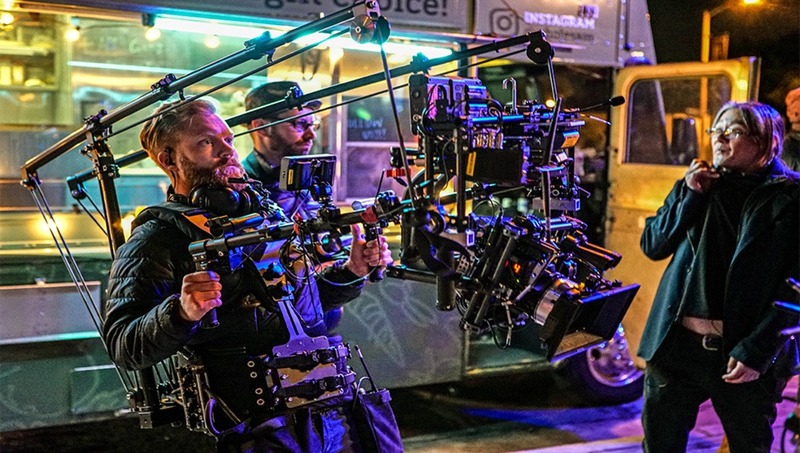 I mention it two paragraphs prior to the picture showing it off: "The Freefly Movi Gimbal coupled with a body mount jib stabilization system were the tools that gave Holleran the ability to do tracking, jib shots, bird's eye, and panning with one setup. Holleran used the Sonly A7s II and a 35mm anamorphic prime lens in order to maintain a light, fast, and trustworthy rig." The main piece of kit not mentioned appears to be a 4-way AntigravityCam. The main piece of gear, when Brits use the idiom “kit,” it just grates on the nerves. The word kit doesn’t not sound unmanly. Get over it. We invented the language. You stole it. I know and I am an Anglophile, but come on the use of the word kit is a weak replacement for the much more manly and masculine word gear. Maybe he should just buy and learn how to use a steadicam instead of chasing aliens with his hyper-multiplex-able-whatever-gimbal-armor. He must really hate any type of camera shake. I'm a wildland firefighter in the summer, and while I appreciate the work this guy did & does, we pack that gear just as heavy through all those 'pitfalls' EVERY DAY.